We are currently 6 weeks and 1 day pregnant! 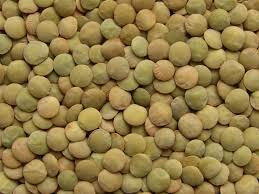 Our baby is the size of a lentil this week! I saw my family doctor a couple of weeks ago, and, as usual, he requested a blood exam to confirm the pregnancy. He also referred me to a ob-gyn. I asked for one from the same hospital I delivered Helena. But, then, after talking to some other moms I felt like trying a midwife this time. So I contacted a couple. I am still waiting to hear from them, both doctor and midwife. So, let’s see how things are going to turn out! I saw my doctor again yesterday, and he confirmed my pregnancy * yay* . 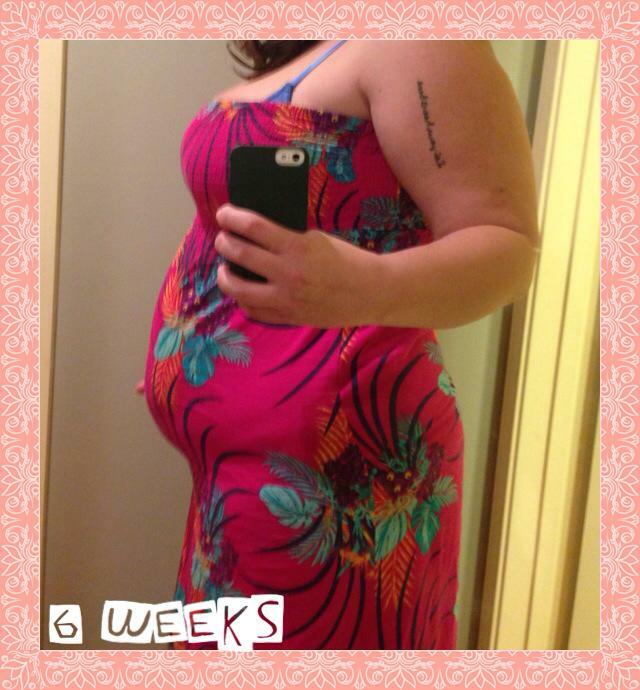 My hcg level was 7,024 (at 5 weeks). When I was pregnant with Helena, my blood test was done at 5 weeks as well and the first result was only 2,587. The doctor, then, thought it was too low and refused to confirm my pregnancy, so he requested another test to see if the numbers would increase. Six days later, then numbers had tripled: 6,782. So, compared to last pregnancy, we are pretty much on the same track! The baby bump, however, seems to be getting big faster than the first time! I don’t have a nice picture of my bump at 6 weeks last pregnancy, so I can’t really show a comparison, but I will keep taking pics weekly from here on. Also, last time I literally threw up everyday for 3 months. This time, however, lots of nausea, but no vomit. The nausea is driving me insane!! If I would just throw up already I would probably feel better! The only concern so far is my blood pressure. It seems low. And, yesterday, at the appointment it was even lower than it was during the initial visit to my family doctor. So, he told me to eat more salt. Hopefully it will help!